Plans are progressing to revive a former island distillery which closed its doors 36 years ago. 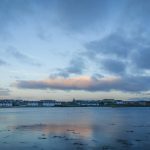 Argyll and Bute Council’s planning, protective services and licensing committee was due to hear plans for the former Port Ellen Distillery at a meeting yesterday (Wednesday January 23). The original distillery, located beside the A846 road, was established as a malt mill in 1825 before becoming a distillery eight years later. It was closed in 1983. In October 2017, Diageo announced plans to re-open it in 2020, along with its closed distillery in Brora in the Highlands. 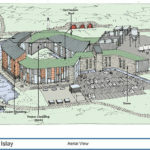 The plans are contained in a ‘proposal of application notice’ (PAN), which means that community consultation must take place for at least 12 weeks before a formal planning application can be lodged. A report for the meeting by council planning officer David Love said: ‘There has been a number of permissions over the years for partial demolition and change of use at the site but none has been implemented. ‘The original buildings are all category B-listed. There is no detail as to what works may be required to the buildings within the PAN. 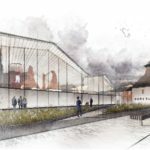 ‘The PAN seeks to notify the planning authority of a prospective major planning application to reopen the former distillery with new buildings, associated infrastructure and visitor’s experience. In announcing the reopening plans in October 2017, Dr Nick Morgan, Diageo’s head of whisky outreach, said: ‘This is a truly exceptional moment in Scotch whisky.